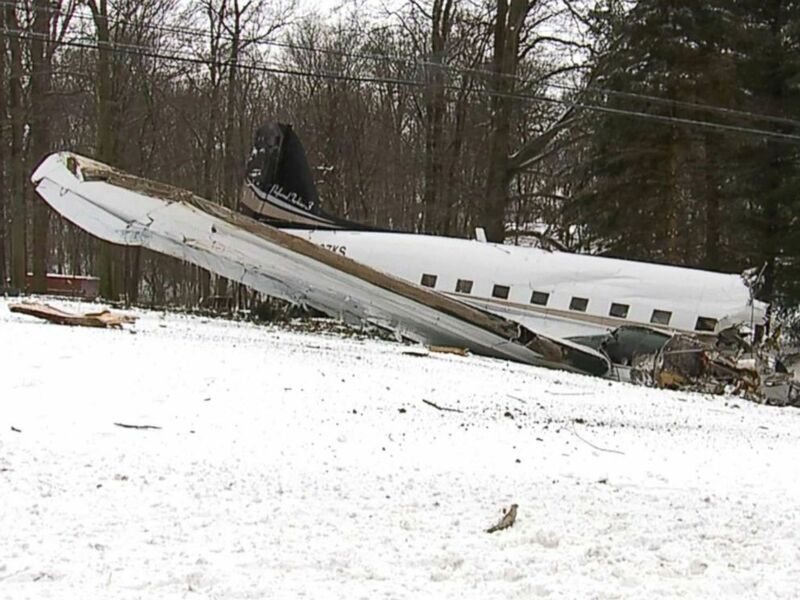 Two people aboard a DC-3 plane were killed when it crashed in Ohio Monday morning, according to the Ohio State Highway Patrol. said a spokesperson from the Federal Aviation Administration. There is no information yet about those who died. 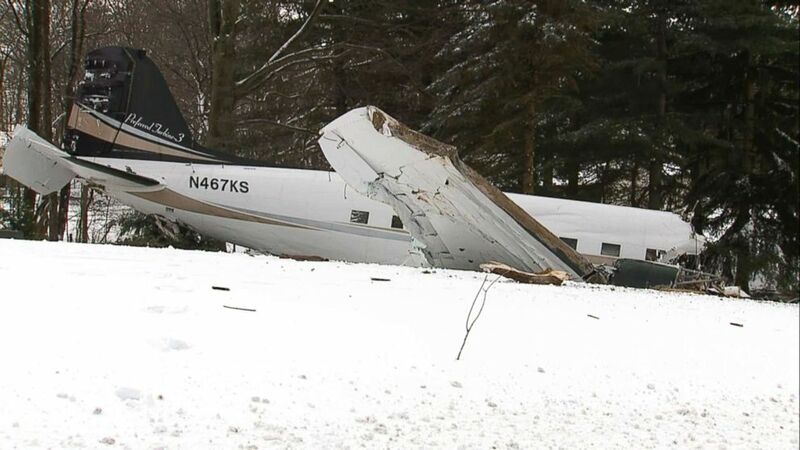 The scene of a small plane crash near Kidron, Ohio. "I've never felt a force in the house that's where it shook the house," said Michael Morrison, who owns the property where the plane crashed. "It's very scary," he told ABC Cleveland affiliate WEWS. 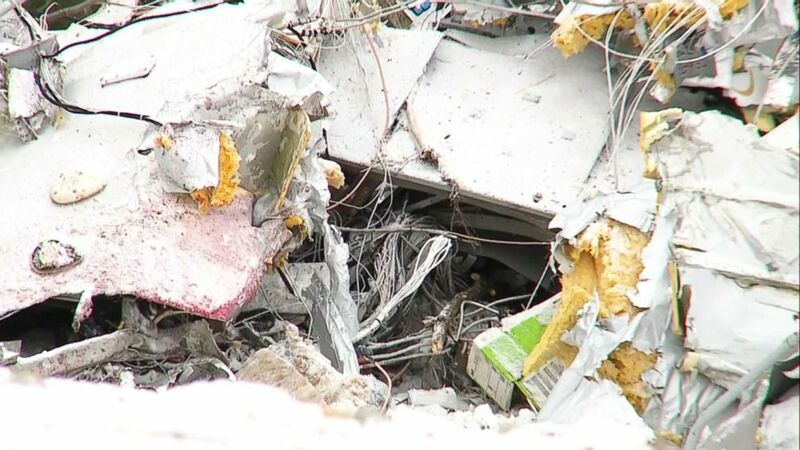 "The cracking sounded like wood splintering … then you hit the crash of it hitting the ground." "I called 911, I grabbed as many blankets as I could, I tried to come out and I tried to give a hand to people from the airport," Morrison told WEWS. "By now they have seemed pretty much in control." 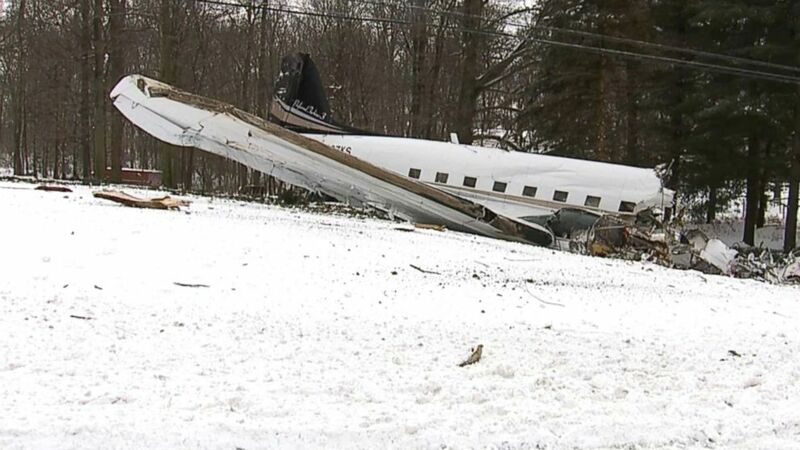 A spokeswoman for the Federal Aviation Administration said that six people were aboard the plane and that four other passengers were injured; the agency has since deferred to the state's highway patrol, which says that only two people were in the plane. The cause of the crash was not clear yet. The first DC-3 plane flew in 1935, said ABC News aviation consultant Col. Steve Ganyard. "It's an antique," Ganyard said.